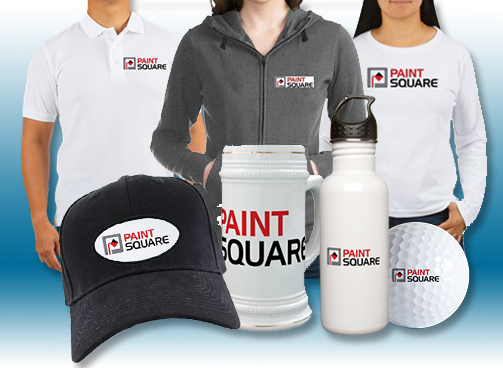 Get made-to-order merchandise that proudly shows off the PaintSquare brand. Choose from a wide variety of styles of men’s and women’s apparel, plus hats, mugs, water bottles, golf balls, notebooks, and many other items. Great for your own use or as a gift for your favorite industrial coatings and lining professional!